Recently we received an order of acid phosphate (as well as other goodies) from Darcy O’Neil at Art of the Drink. Mr. O’Neil has been a tireless researcher of extinct drink ingredients. We love such intrepid individuals. We’re fascinated by such things but are far too busy (aka lazy) to actually do it ourselves. 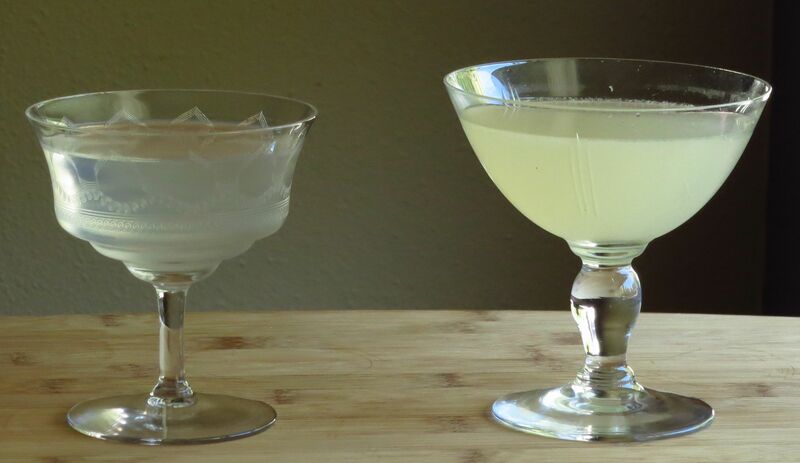 Anyhow, given the arrival of acid phosphate in our liquor cabinet we thought we’d try some of our favorite simple lime cocktails using acid phosphate as a substitute. We decided to go with the daiquiri and the margarita. They are excellent lime-based drinks and provide a good contrast for the acid phosphate versions since they’re both straightforward with only three ingredients each. We initially started by substituting the acid phosphate directly for lime juice, but then things got “interesting”. Read on for our results. We went with the Milk & Honey recipe as it is our favorite proportions for a daiquiri. Palate: Sugar, sweet lime, caramel and honey from the rum. Nice perfume-y lime bite at the end. Nose: Hint of the rum. Nothing else, quite neutral. Palate: Caramel and honey from the rum, sugar. Undercurrent of acidity with a little bit of an acidic bite at the back of the palate. Really lets the spirit stand out but maintains good balance. Would work well where you have a great spirit that you really want to let shine but where you want a little sweet/acid to balance it instead of drinking it straight. We feel it would work really well with a nice aged rum. Would also work really well as a nudge, much like bitters, where you just want to tweak the balance of a cocktail slightly. Nose: Lime, orange, some grassiness, tropical notes (kinda like passionfruit). Palate: Lime and tequila right at the start with some hint of orange for Shaun. Christa gets a burst of orange to start, then tequila, then lime on the back. Very astringent finish like lime or orange peel. Lime seems to amp up the sweetness of the triple sec. Palate: Orange feels out of balance without the lime. Acid then tequila at the front. Bitter orange throughout. Bitter finish. Tastes kinda flat. Acid phosphate seems to amp up the bitter orange notes. Given that the acid phosphate margarita wasn’t exactly a winner, we decided to try some alternatives. Palate: Bitter lime, sweet/sour citrus flavors followed by tequila. Little bit of unexpected brininess. A lot more bitter lime. Palate: Tequila, sugar and acid. Much more nicely balanced. Definitely much better with the simple syrup instead of the triple sec. Really lets the tequila shine. Shows how acid phosphate can help create a really nice expression of a drink. Overall, the acid phosphate is a handy addition to our cocktail toolbox. The daiquiri alternative helped the rum shine, but the margarita alternative showed that a simple substitution doesn’t always work. 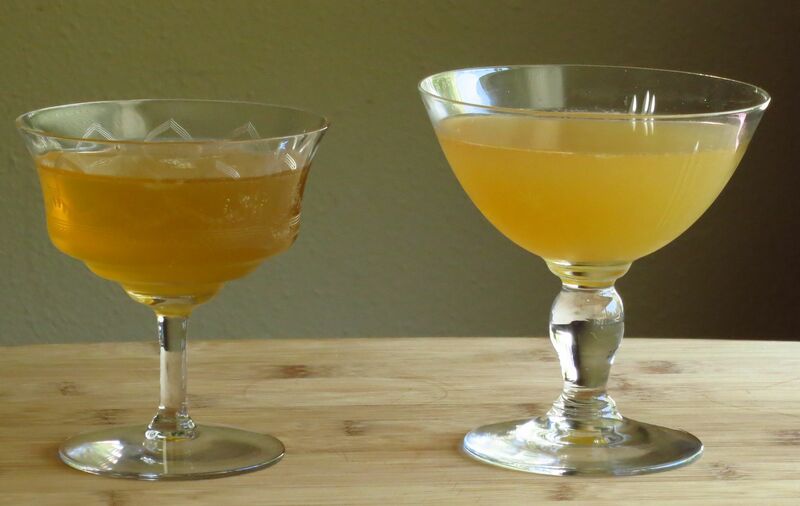 The acid phosphate, much like bitters, can really help you accentuate different aspects of the ingredients to try and create a more balanced drink. We suggest you get some of these extinct cocktail ingredients from Mr. O’Neil ASAP as they are a great addition to have for noodling around in the bar. Interested in other acid substitutes? Check out our experimentation with Lactart in an Amaretto Sour. This entry was posted in aged rum, Cocktail Comparisons, Deconstructed, rum, tequila, triple sec and tagged acid phosphate, daiquiri recipe, margarita recipe, matusalem rum, partida tequila. Bookmark the permalink. the amounts of acid phosphate sound very large….